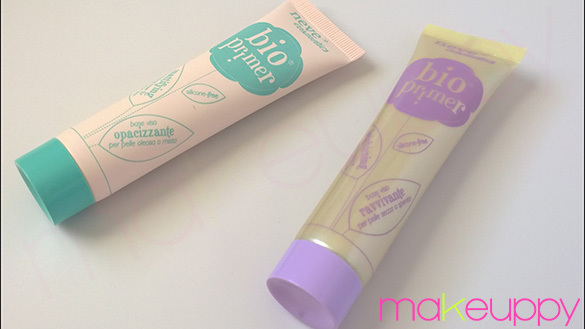 The BioPrimer (€12.00 – 40 ml – PAO 12M) comes in 2 versions: Brightening and Mattifying. The former is formulated for dry skins, it contains argan oil, shea butter and aloe extract and it has a slightly radiant finish. The other one is thought for oily skins and it has sebum absorbing silica and, obviously, a matte finish. As you know, I have combination skin, so I used both of them simultaneously. I applied the Mattifying on my T-zone and the Brightening on the rest of the face. The first thing I noticed was the fact that they are both tinted! Not like a foundation or a BBcream, but they have a slightly tint that helps to uniform the skin tone. 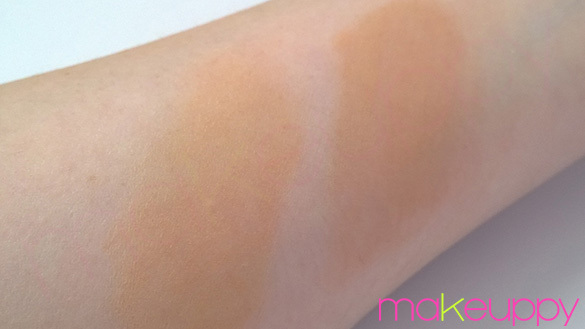 Honestly speaking -you can see it by yourself in the swatch below, I used a generous amount of product to actually show the color- the tint is a bit too warm for my taste, especially because I’m a neutral/cool type but fortunately it blends very well into the skin. Both versions have a really smooth texture -the Mattifying it’s also quite velvety- that reminds me the texture of an eye primer (more on the creamy side) instead of a face primer. The 3-months-test was really important since it gave me the opportunity to see the products working in different weather conditions, going from warm to chilly temperatures. 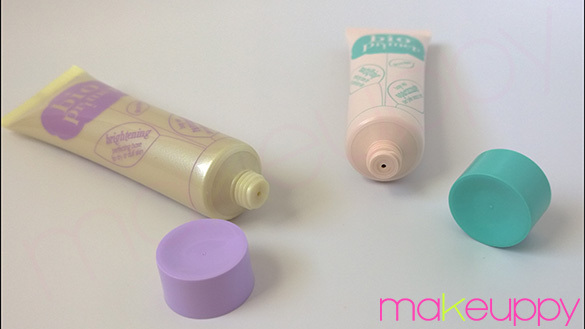 The Mattifying primer is your choice if you have normal to combination skin during warm days. It helps to control shine and, even if it does not have great results on pores, it helps to uniform the skin tone and to keep your makeup looking good throughout the hours. If you have sensitive skin it may be a bit drying during the cold days: I saw a bit of dryness around the nostrils and on my chin. If you have very oily skin I don’t think it will be good for you because its performance isn’t as good as the one of a primer with silicones so you’ll probably think it was a waste of money. On the other side, the Brightening primer really leaves a radiant finish on the skin -very soft, natural looking- so can be a great option if you have dry skin. It is really moisturizing, during the warm days I decided to skip my day cream (not a great idea since the primer doesn’t have SPF). Not a great result on pores, but it this case I didn’t expected it, because glowing products are actually unsuitable to minimizing pores. 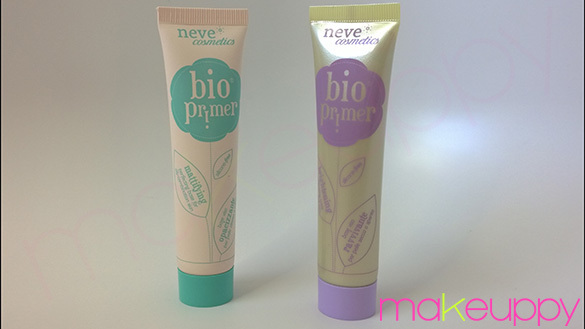 During the last days this primer is working pretty well on me, I like the healthy touch it gives me. If you don’t have great skin concerns and your main gol is to find a product to smooth a bit your face and extend the duration of your makeup and that can be used daily, the Bio Primer is for you. In these 3 months of testing I didn’t see any kind of “abnormal” breakout -only a couple of times a pimple did come out on my chin but it was linked to my upcoming period-.